Below you can view all the homes for sale in the Indian Hills Country Club subdivision located in Marietta Georgia. 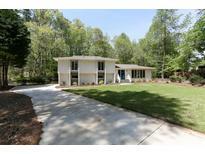 Listings in Indian Hills Country Club are updated daily from data we receive from the Atlanta multiple listing service. To learn more about any of these homes or to receive custom notifications when a new property is listed for sale in Indian Hills Country Club, give us a call at 404-998-4102. Exquisite Designer Finishes Including Quartz Counters Are Throughout The Home. MLS#6538899. Harry Norman Realtors. Hop On The Golf Cart Or Easily Walk On The Cart Path The Short Distance To The Clubhouse For An Evening With Friends Or Family. MLS#6535414. Keller Williams Realty Atl North. Full, Unfinished Basement W/Space For Wkshop, Game Room & Storage. 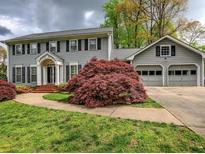 Close To Interstates/Schools/Shopping/Parks/Restaurants. MLS#6534340. Harry Norman Realtors. The Garage Offers Tons Of Storage Space And The Backyard Is A Private Oasis With Beautifully Manicured Grass And An Irrigation System Surrounded By Camelias. Don'T Miss This House! MLS#6525897. Keller Williams Realty Atl North. Pre Planned Terrace Level Walks Out To Professionally Landscaped Backyard. MLS#6519162. Berkshire Hathaway Homeservices Georgia Properties. Finished Terrace Level With Guest Suite And Au Pair Suite Over 3 Car Garage. MLS#6091304. Berkshire Hathaway Homeservices Georgia Properties. Nons MLS#8461828. Keller Williams Rlty First Atl.